Almost seventy years ago, the ElectroScience Laboratory was created as a government-sponsored research facility to satisfy national defense needs in wireless communications, radars and optics. Since then, the lab has evolved into a center of excellence in the Department of Electrical and Computer Engineering with a legacy of teaching, scholarship and cutting-edge research. Having outgrown its aging 55-year-old home, the ElectroScience Laboratory partnered with the Science and Technology Campus Corporation (SciTech) to occupy space in the $7.3 million dollar Wireless Communication/Radio Frequency Research Building. A covered walkway will connect the new facility to the existing ElectroScience Laboratory building, where ESL's laboratories, anechoic chamber, cleanroom and other research equipment will remain. In addition to providing a modern space to house ESL’s 100 faculty, researchers, staff and students, the new facility will also support research p artnerships. It will enable individuals from private industry to have direct access to the best faculty and researchers in the country in electromagnetics, sensors, wireless communications and optics/photonics, as well as expensive and specialized research facilities. “This critically-needed new space will enable the ElectroScience Laboratory to continue to attract world-class faculty and students, strengthen ESL’s legacy of innovation, teaching and scholarship, and ensure preeminence in research for decades to come.” John Volakis, director of the ElectroScience Laboratory and professor of electrical and computer engineering, said. More than 100 alumni, official s, distinguished guests and Ohio State faculty, staff and students celebrated the groundbreaking of the new Wireless Communication/Radio Frequency Research Building on Friday, December 11, 2009. Construction on the building began in late November and is now well underway, with completion scheduled by early 2011. Ohio Third Frontier funds (nearly $5M) obtained via the IDCAST program led by Larrell Walters at the University of Dayton were critical to the realization of this new building that builds on established excellence on RF sensing at Ohio State. Alumni donations and the Ohio State College of Engineering provided the remaining funds to construct this $7.3 million project. 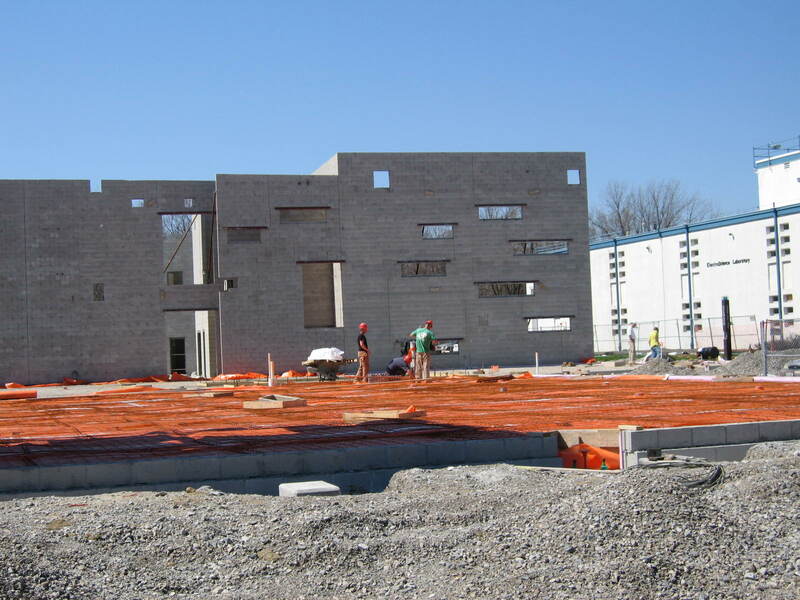 Completion of the new building is scheduled for spring 2011. More information about the new facility is available on the ElectroScience Laboratory's website.